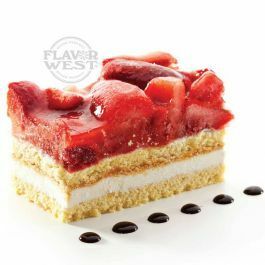 Strawberry Shortcake Flavor comes from a combination of Strawberry and Yellow Cake flavoring. Truly, this strawberry shortcake flavoring delivers a burst of fresh strawberry taste with each tiny drop. Type: Strawberry Shortcake Water Soluble Flavoring. Ingredients: Natural and Artificial Flavoring, Propylene Glycol and Ethanol. USP Kosher Grade Flavoring. Flavor Suitability: Good for baked goods and pastries, smoothies, ice cream, milk shakes, candy and more. Specific Gravity: 1.04 No Refunds on Flavoring.